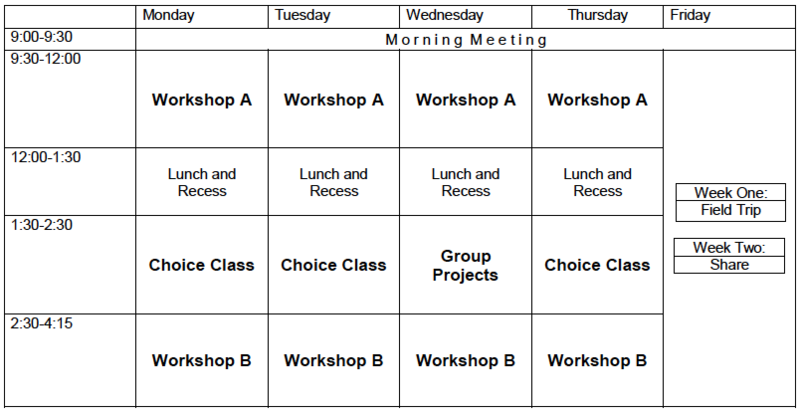 Choice Classes meet Monday, Tuesday and Thursday for an hour. Full Day Fives select one class from Block A, B and C. Half Day Fives select one class from Block B only. Rainbows, Rainbows, and More Rainbows! Rainbows, Rainbows, and More Rainbows! (Helen Maeng): Let’s explore all the colors of the rainbow! Using all five senses, we’ll examine each color through a different sensory lens. What does orange feel like? Ever taste red? Join us for a unique journey of colorful fun! Stuff it! (Laura Araman): Nothing compares to the comfort and warmth of a special stuffed animal, squishy toy, or lovie. Whether it’s a quick squeeze or a hug, they’re always there when we need them most. Join us as we design, build, and sew our very own stuffed creation! You decide what you want to make, the shape it will be, the color, the fabric, and just how much stuffing you’ll need to make it just right for you. Balloon Games (Danny Tom) :Nothing compares to the comfort and warmth of a special stuffed animal, squishy toy, or lovie. Whether it’s a quick squeeze or a hug, they’re always there when we need them most. Join us as we design, build, and sew our very own stuffed creation! You decide what you want to make, the shape it will be, the color, the fabric, and just how much stuffing you’ll need to make it just right for you. Lego City (Denzel Johnson) Have you ever wanted to create your own city out of Legos? During this choice class, you will get to put together your own uniquely designed cities using our expansive collection of Legos. Come ready to build people, cars, and buildings with all the accessories to go on top of that. We will work both at times individually and as a group. Where the Wild Things Are (Danielle Staropoli) We will read Where the Wild Things Are and act out the story, along with other books about animals and wild things, creating animal dances and stories that we can share with our friends. Join us in the jungle! Beginner Chess (David Rigo) In this class students will learn the rules of the game and develop an understanding of opening principles. This is a great class for someone who has never played before. Pinkies Up! (Laura Araman) It’s tea time! We’ll work together to create a unique accessory (crowns, hats, wings etc), a plate, and a fancy cup. Next we’ll focus on preparing the table by making some finger sandwiches, scones and, of course, tea! Campers will be working collaboratively, following through with their own designs, and trying new things. Paper, Paint, and Pom-Poms! (Diandra Hansen) Campers will have the opportunity to experiment with artistic materials to help develop their imagination, inventiveness, and expand on their ability to create freely. Campers will use ordinary objects such as stamps to create masterpieces on canvas, use cookie cutter stencils to make life-like images, explore different textures with salt paints, and use fluffy pom-poms for crafts. Campers will have the opportunity to work on individual projects, work with a small group, and make a whole class final project! Dress Up Club (Nora Woolley) Say yes to your imagination as costume and guided improvisation take you places you’ve only dreamed of visiting. Underwater caves need expert scuba divers; restaurants need servers, chefs, and customers; museums need great works of art (that come to life at night! ); pirate ships need pirates. Dress up-ers will create some of their own costume pieces and experiment with already-made costume pieces to discover how exciting life can be when you look (and feel) the part! Tag, You’re It! (Danny Tom) Tag is a classic game with many variations, each one posing a slightly different challenge! Campers will chase and be chased as they play favorites like blob tag, TV tag, freeze tag, stuck in the mud and more. We will also explore less well-known varieties of tag, and even invent rules for our very own version! S.O.S. – Sink or Swim? (Shanna Silien) Will it sink to the bottom or float to the top? S.O.S. will challenge campers to think creatively about choosing, finding, and building structures that can survive the ultimate test — will it float? Campers begin by dreaming up a creation they will build. 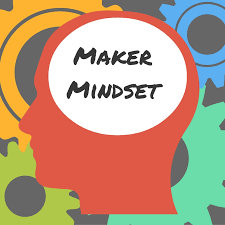 They’ll embark on a campwide scavenger hunt to collect their materials and work together as a team to turn their vision into a waterproof vessel that floats on its own. Construction Engineers (Shanna Silien) This class will inspire young engineers to build and create new and exciting structures. We will read books and look at real life construction projects for inspiration. We’ll build bridges and roller coasters, skyscrapers, and anything else we can imagine, using a variety of materials and media. Class will conclude with a museum walk of our creations and the chance to hear from each engineer about their engineered creation. Little Red Post Office (Nora Woolley) Communication keeps this camp running! Join us as we create our very own camp post office. Help us create a forever camp stamp, design stationery, write letters to friends, assemble care packages for our families who are away at work or home, and install mailboxes around camp for all campers to use. Neither sleet nor snow nor summer will keep us from our important work! Stuff it! (Laura Araman) Nothing compares to the comfort and warmth of a special stuffed animal, squishy toy, or lovie. Whether it’s a quick squeeze or a hug, they’re always there when we need them most. Join us as we design, build, and sew our very own stuffed creation! You decide what you want to make, the shape it will be, the color, the fabric, and just how much stuffing you’ll need to make it just right for you. Karate (Vinnie Barile)	This class is an introduction to the basic moves and ideas of Karate. Activities will focus on building strength, flexibility, coordination, and spatial awareness. Let’s Go On An Adventure! (Annie Perales) Calling all curious campers! Do you love investigating and discovering? Do you consider yourself a adventurer? If so, come along and let’s go on an adventure! We will be creating our own world and going on various adventures like safaris, scavenger hunts, and we will even solve some mysteries! We will get the chance to explore our camp and our city with open eyes and curious hearts, what are you waiting for? Let’s go on an adventure! Painting Without a Brush (Laura Araman) Is it possible to paint without actually using a paintbrush?! In this class you will explore many different ways to paint. We’ll paint with bubbles, pompoms, cotton balls, tin foil, eye droppers, spray bottles, and maybe even your hands and feet… the possibilities are endless! Young Chefs! (Diandra Hansen) During Young Chef’s campers will learn how to cook and get to eat yummy snacks with new friends! While working together to make tasty treats, campers will practice teamwork, sharing, and taking responsibility. They will take turns measuring, counting, and sequencing the directions for the ingredients. Campers will have opportunities to make predictions and observe how food changes, and learn how and where food grows. There is a focus on art and creativity for young chefs to learn that presentation and use of colors can sometimes make a dish taste even better! Dress Up Club (Nora Woolley) Say yes to your imagination as costume and guided improvisation take you places you only dreamed of visiting. Underwater caves need expert scuba divers; restaurants need servers, chefs and customers; museums need great works of art (that come to life at night! ); pirate ships need pirates. Dress up-ers will create some of their own costume pieces and experiment with already-made costume pieces to discover how exciting life can be when you look (and feel) the part! Sensory Sensation (Laura Araman) If you like getting your hands dirty this is the class for you. We’ll be exploring lots of different squishy, goopy, gloppy mixtures, like water beads, shaving cream, slime and goop. Get ready to roll up your sleeves and get messy! Campers will work collaboratively, and take turns to follow recipes for these different experiments, testing out their hypotheses and having a great time in the process. Without a Paintbrush (Jaryn Stewart) Who says we need a paintbrush to paint? Using only our hands and other household materials, we will paint with wild abandon, creating personal masterpieces along the way. It’s amazing what our fingers can accomplish—plus, paint feels really cool on our hands, too! Animal Hop and Jump Relay (Shanna Silien) There’s more than one way to run a race! Using our imaginations we’ll pretend to be grasshoppers and kangaroos, or maybe we’ll be crickets and frogs. 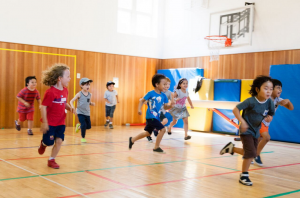 Thinking of as many bugs and animals who hop and jump as we can, we’ll learn how to move just like them as we participate in a variety of relays and obstacle courses. Dragons & Fairies Scavenger Hunt (Rebecca Saltzman) Did you know that residents of Greenwich Village have reported a mysterious appearance of tiny mushroom forests and strange sparkly scales all over the neighborhood? They have asked the campers of Little Red to investigate. So, we will travel to nearby locations (playgrounds) and come back to camp to record what we found. We will create a story and draw it to tell the community what might be happening with these mysterious fairies and dragons. Balloon Games (Danny Tom) Who doesn’t love balloons?! In this class, we’ll have fun using balloons to play our favorite games: tennis, soccer, tennis, volleyball, and other games we invent on the spot! Read It and Eat It! (Laura Araman) In this class we will be making food that is inspired by children’s favorite stories. Ever wonder how Green Eggs and Ham taste? Or what about sushi from the book Yoko? We may have enjoy a cookie ourselves first before giving a mouse one from If You Give a Mouse a Cookie, and put some of those Blueberries for Sal in our own muffins. 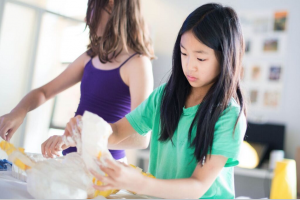 Campers will take turns and work collaboratively, strengthening early literacy skills following visual recipes while participating in our cooking projects. Ball Games (Denzel Johnson) Throwing, catching, bouncing, passing, hitting, kicking, running, and laughing! We will be playing games like soccer, basketball and a camp favorite Gaga. We will be playing all these classic ball games and more! Campers will even get a chance to come up with a brand new ball game as a group that we can all play and enjoy! Story Acting (Laura Araman) Ever love a story so much that you wish you could literally be a part of it? Campers bring some of their most favorite stories to life, becoming the characters, creating scenery, and even making props to make their storytelling complete! Dramatic play, creative expression, and collaboration take center stage for our young storytellers. Space Ryders (Tara McLaughlin) Put on your space helmet because we are going on a mission to outer space… in our life sized spaceship! What in the world will we see? 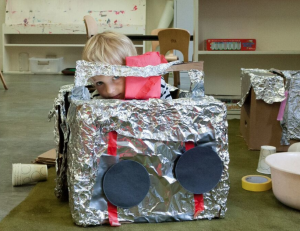 In this class, we will build a spaceship with cardboard, tinfoil, and other art materials. Campers or “Space Ryders” will go on daily missions and explore space. We will also read books about outer space, play moonwalk games, and of course eat solar system snacks!! 10 seconds to liftoff for this imaginarium exploration! Jewelry Jam Session! (Diandra Hansen) Campers will learn how to string, bead, lace, paint, knot, loop, and wrap different fabrics and materials to make various fashion accessories! They will experiment with open-ended materials, and be taught different design/decoration techniques like decoupage. The class is designed to inspire creativity within campers to use everyday materials to make beautiful designs of their choice for themselves and others while listening to music! All Things Merpeople (Helen Maeng) Let’s explore the world of merpeople together! After an engaging discussion about merpeople and what we know about them, we’re going to take the first steps in building our mermaid/man tail. What materials will we need? How will we make it sparkle and shine? Together we’ll work to let our ideas come to life! We will use storytelling to bring our merpeople to life. Adventure Playground (TBA) Jump, run, and play as we explore a different playground each class. Choice Classes meet Monday, Tuesday and Thursday for an hour. On your Kart, Get Set, Go! Tiny Circus (Andy Hunter) It’s time for a trip to the big top! Campers will learn amazing feats of acrobatics or be as silly as a red nose clown. They could even transform into some of our most favorite circus animals like lions, tigers, and bears. Oh my! World Art Extravaganza (Matthew Mahler) Take an imaginary journey around the world to examine and explore various approaches to art making. From Japanese scroll drawing to African Masks, campers will take a closer look at different styles of art and get a chance to create a piece inspired by various cultures from across the globe. Fancy Restaurant (Nora Woolley) Camp is buzzing with news that the fanciest restaurant in the city is set to open in a matter of days! Join us as we design our very own mouth-watering restaurant from soup to soy nuts– menus, place-settings, custom tablecloths, advertisements, front and back of house training, not to mention outrageous new recipes and menu tastings. There is so much to be done in time for our big, fancy soft opening on the final day of class. Rumor has it that we’ll even receive a visit from a restaurant reviewer! With you on board, we’re sure to have the absolute best restaurant in town. Spy School (Alex Checkman) Do you have what it takes to become a spy? We will learn to create the perfect disguise, come up with secret agent names, write our own secret codes, break ciphers, and go on top secret missions…Shh! Power Animals (Kevin Farrant) Sometimes when you look in the mirror, do you see a lion? Ever wish you could be a cat or maybe a dolphin? Legend has it that we all have unique characteristics of our personalities that we share with animals. These representations blend together to create power animals. In this choice class, we’ll discover what power animal best represents our innermost selves by taking a survey. From there we’ll practice a variety of clay techniques to build our very own hand-built power animal! Balloon Tennis (Danny Tom) Who says tennis can only be played with rackets and tennis balls? Join us for this exciting, new twist on a classic game! Print it! (Matthew Mahler) Artists have long been stamping, printing and imprinting their mark on the natural world throughout history. Campers will explore various printing methods including monoprinting, relief and collograph printing in this exciting choice class. How many different ways can you leave your mark? Young Dancemakers	(Danielle Staropoli)	Through guided explorations and games, campers will create their own unique movement vocabulary, leading to an original piece of choreography. Campers will learn how to give and receive constructive feedback and make revisions to their work, which will be performed and shared with other campers. Tiny Worlds (Clara Campos) In this construction/art class, we will create tiny worlds using our big imaginations. Projects will include hidden gnome homes, tiny underwater worlds for small critters to enjoy, and mouse museums. Materials will include boxes, wood, cork, string, twine, buttons, and many other tiny things perfect for building tiny worlds! Will it Waffle? (Norah Roderick) Have you ever put anything that wasn’t a waffle in the waffle iron? Let’s see what happens when we try putting different foods in the waffle iron! Gummy bears: will they waffle? What about potatoes? Or cheese?!? Brave campers can try anything we put in the waffle iron if they dare! Beneath Our Feet (Sara Janoff) Campers will become scientists and investigate the world beneath their feet! They will get to use scientific tools to explore grass, dirt, and the living creatures below us. Campers will be invited to construct their own worm composting bin, and we’ll use our scientific skills to observe the work of the worms throughout the camp season as they turn different materials into soil. Campers will also learn about an important decomposer, the mushroom, and explore different types using their five senses. Campers will develop investigative skills and an appreciation for the less-seen creatures in our environment. Little Red Secret Agents (Isaiah Sullivan) Do you have what it takes to be a Little Red Secret Agent? We’ll come up with unique code names, develop “spy equipment” (like binoculars and communicators), and create “secret” codes that can only be cracked with deciphers. Using teamwork, we will collect clues and secret codes hidden around camp to complete an exciting scavenger hunt to solve the case! Chopped: Kid’s Edition (Rebecca Saltzman) In this class, campers will compete in a creative and silly cooking class. Campers will work in teams to make three random ingredients into a delicious meal. First, campers divide into teams. Counselors will announce the ingredients and allow time for brainstorming, and then the cooking begins! At the end of each class, awards are presented for creativity, teamwork, presentation, and taste. Beginner Chess (David Rigo) In this chess class students will learn the rules of the game and develop an understanding of opening principles. This is a great class for someone who has never played before. Karaoke Party! (Tara McLaughlin) If you like to sing along to your favorite songs, then join the “Karaoke Party.” In this class, we’ll start off by becoming more familiar with music, singing, and performing. Campers will create a list of their favorite songs and perform them with a real microphone to an audience of friends. We’ll even dress up and use props as well! Our main goal is to have fun and create a safe space where campers can feel comfortable expressing themselves through music. Additional projects during the session will include a group effort to create new lyrics to some of our favorite songs. The final class will be a share for other campers to join our Karaoke experience! Indoor Camping (Laura Araman) Have you ever dreamed of going on a camping adventure? No need to leave the city to experience all the joys of camping! From stargazing to roasting s’mores and telling stories around the “campfire,” our indoor campers will use their imaginations to create brand new constellations and work together to set up a real campsite, including a tent! Minute to Win It! (Jaryn Stewart) Every day we’ll split up into teams – sometimes as individuals, partners, or larger groups – to challenge each other to complete a wacky task within a minute! Counselors will provide some challenges but you’ll have a chance to create your own challenges too. Learning how to work together and problem solve, campers will gain skills that apply to all areas of life, all while having the time of their lives. Funderdome (Eric Royo) What do you get when you mix tag, steal the bacon, capture the flag and dodgeball all in one game? You get some good ol’ fashion fun. Come learn some new games such as Pin Daddy and play some old school favorites like kick the can. You’ll play games with teams, partners, and everyone for themselves. Ball games, rope games, running games and more. It’s not whether you win or lose but how sweaty you are when it’s done! On your Kart, Get Set, Go! (Denzel Johnson) Campers will be using cardboard and scooters to build go-karts from scratch! Campers will also have the opportunity to race them against each other and test them on different obstacle courses in fun and safe ways. Join this class if you enjoy building with your hands and are ready to get set, and go! Gaga Galore! (Jake Tiner) Students will learn about one of the most fun games on the planet: Gaga! Also known as Israeli Dodgeball, Gaga is played by hitting a ball with your hands and trying to hit your opponents below the knees to eliminate them.Gaga has many variations, like poison-ga, super-ga, and double-poison-super-pin-ga, allowing for nearly endless fun. Gaga will focus on teamwork and strategy development, all while getting in some serious exercise! Kindness Counts (Danielle Staropoli) Through simple acts of kindness, campers will spread positive vibes throughout the Summers at LREI community. We’ll make friendship bracelets, design original positivity posters, and even host a lemonade stand. Kindness can take many forms, and we will explore as many as we can to become Kindness Superstars! Karate	(Vinny Barile) This class is an introduction to the basic moves and ideas of Karate. Activities will focus on building strength, flexibility, coordination, and spatial awareness. Watercolors in the City (Alex Checkman) Do you like to to take inspiration from the world around you when you draw and paint? In this class, we will take our pencils, pens, and paints outside to find inspiration. We’ll observe our environment, looking at buildings, trees, playgrounds, and other city scenes for inspiration. Then we will find a comfortable and shady spot to sketch and paint what we see! Clayworks (Kevin Farrant) In this creative, hands-on class, campers will use clay to create whimsical, fun pieces of art to take home. For this class, campers will learn how to utilize the coiling technique to create pieces that are both functional and sculptural. Campers will also practice various other clay techniques including: scoring and slipping, coiling, smoothing, and how to properly store in-progress work. Puppet Pioneers! (Andy Hunter) Designers in this class will create their own puppets and bring them to life! Campers will learn how to build puppets using styrofoam balls, vegetables and fruit, pop-up paper, and found objects! Every puppeteer will create unique characters with their puppets before taking them home! The class culminates in a puppetry show or gallery for all to enjoy! Floor Hockey for Beginners (Jake Tiner) Pass, shoot, score! If your camper is interested in gaining some experience playing the coolest game out there, then this is the perfect choice class! We will learn the basic skills of the game, like stickhandling and passing, before taking a look at the rules. Once everyone is warmed up and ready to play, campers will scrimmage one another in a fun, low stakes game. This class is a great opportunity to sharpen hand eye coordination while developing teamwork skills. Camp Out! (Sara Janoff) Campers are invited on a camping adventure! Using real-world camping tools AND our imaginations, we will explore the world of camping. Through dramatic play, campers will be introduced to aspects of traditional camping such as star-gazing, bird-watching, and cooking. We will practice pitching a tent and pretend to build a fire and cook delicious campfire meals! Campers will use flashlights to imagine they are on a night-time walk in the woods. I wonder what kind of animals we will meet! Adventure Playground! (TBA) Jump, run, and play as we explore a different playground each class. Tag, you’re it! (Helen Maeng) The classic game that everyone knows, with a twist. Each day will be a different kind of Tag! Each class will begin with a stretch to get our bodies warmed up and then we’re ready to go! With a focus on gross motor skills and body awareness, the goal will be good sportsmanship, and fun. New York, New York! (Danielle Staropoli) Using our cityscape and architecture as inspiration, campers will stretch and bend to create tableaus of New York City’s most famous landmarks. 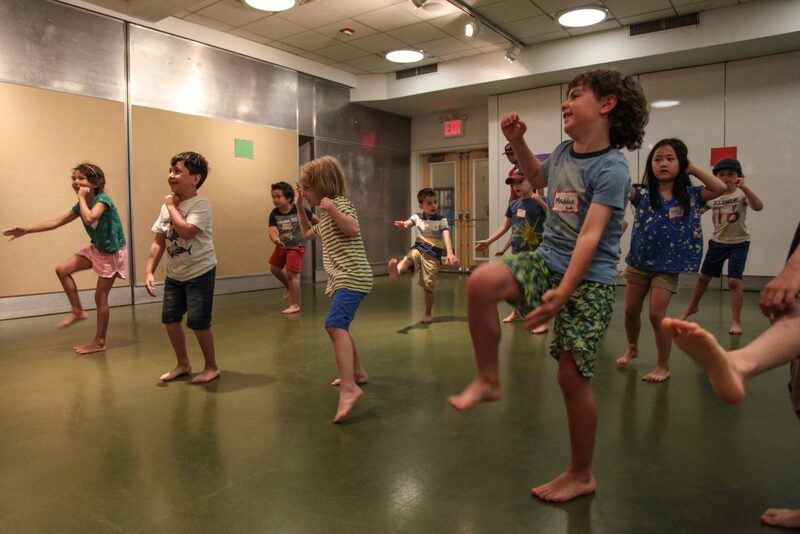 Campers will roll, tumble, and jump as they explore the movement on the subways, taxis, and bikes. We’ll sway and balance as we design peaceful scenes of Central Park. Join us in dancing through the Big Apple! Intermediate Chess (David Rigo) In this class students will have a refresher on the rules and fundamentals of chess and be introduced to basic chess tactics and endgames. This is a great class for students who know how the pieces move, but might want a little review. Game Makers (Isaiah Sullivan) Do you love playing board games? Do you have ideas about what makes a really fun game to play? Game Makers gives campers the opportunity to examine different types of popular board games, focusing on what makes them so much fun and how the rules can make or break the game. Using their research and tapping into their creativity, campers will collaborate to create and develop their ideas and rules, culminating in their very own board game. Cabinets of Curiosities (Victoria Vreeland) First seen as early as the 1500’s and popular throughout the Renaissance, Cabinets of Curiosities were widely used to display an individual’s collection of interesting objects. In this class, we’ll decide what special items we already have and maybe find some new ones that we want to display in our very own handmade cabinet. We’ll create our unique cabinets, using paint and glue to start. We’ll craft and install shelves, as well as hang hooks. On our final day of class, we’ll show off our cabinets for all to see, with wonder, our most curious treasures! Broadway Moves (Danielle Staropoli) In this exciting class, campers will explore stylized Jazz movements, body isolations, and complex rhythms to the most popular tunes on Broadway! Emphasis will be placed on performance skills, such as conveying a story through movement, facial expressions, and connecting with the audience. Campers will work together to stage, choreograph, and perform their own scenes! Open Studio Art (TBA) Looking for a little extra time in the art studio? Have project in mind that you’d like to develop into a work of art? Campers will create amazing craft projects from an assortment of fun materials like cardboard, paint, yarn, glue, pipe cleaners and more! We’ll work on our own projects and even collaborate with friends! Beginner Chess (David Rigo) In this beginners chess class, students will learn the rules of the game and develop an understanding of opening principles. This is a great class for someone who has never played before. It’s a Cardboard World (Clara Campos) There are so many things you can make with a bunch of recycled cardboard, some glue, and a ton of imagination. 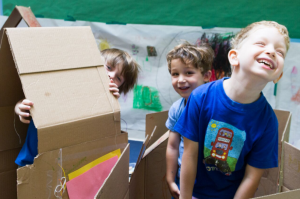 In this open-ended construction/art class we will explore cardboard as a material, and make whatever we can think of to make. Sculptures, buildings, animals, technology, robots, and more! of responsibility, collaboration, and creativity by creating and cooking a variety of rainbow colored goods. We will be making recipes such as strawberry shortcake, lemon bars, and some new recipes of our own! Woven Wall Art (Laura Araman) Do you love weaving? Enjoy putting together colors and textures? Well now’s your chance to create your very own woven wall hanging that you’ll get to take home to put up on your wall. 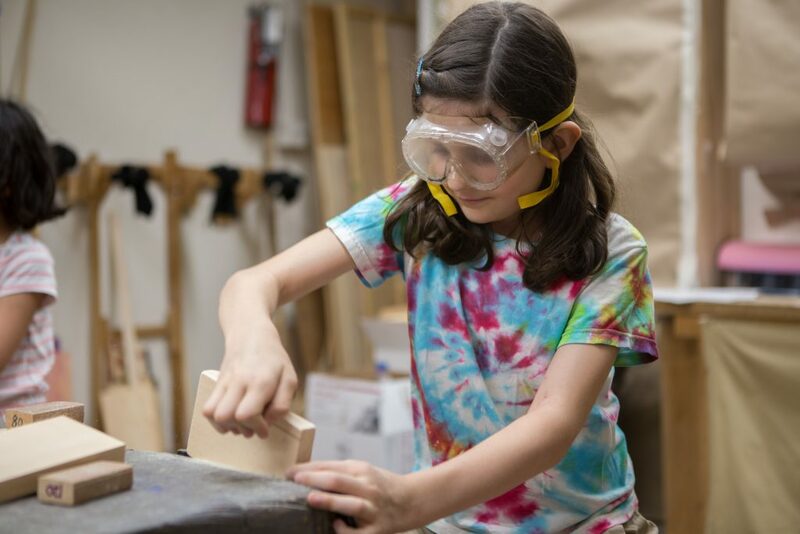 Campers will make their own unique design choices, sharpen their fine motor skills, and develop problem solving strategies throughout their creative process. Board Game Bonanza (TBA)	Campers will discover all the forms board games can take. There are so many different types of games to choose from, whether they are based on resources (Catan, Monopoly), cards (Uno, Dominion), conquering (Risk) or even legacy (games that change each time you play!). The possibilities are endless! Team Games (Jake Tiner) In team games, students will be exposed to a variety of games that all have a common theme: teammates! Students will develop their group work skills by working with their teammates to accomplish a common goal. Games will range from trivia style variety shows to capture the flag. Young Dancemakers	(Danielle Staropoli) Through guided explorations and games, students will create their own unique movement vocabulary, thus leading to an original piece of choreography. Students will learn how to give and receive constructive feedback and make revisions to their work to be performed and shared with other campers. Mystery Science (Isaiah Sullivan) Meet us in the science lab where we will conduct a variety of fun and interesting science experiments out of everyday materials! We will grow our own crystals, make portable lava lamps, and build our own volcanoes before making them erupt! Monster Chefs (Avery Kutis) Uh oh! There are monsters in the kitchen!! Using their creativity and expert baking skills, our chefs will create edible monsters of all shapes and sizes! Imagine enjoying tasty Frankenstein popsicles made out of marshmallows and chocolate or scrumptious monster s’mores. Campers will collaborate throughout this choice class to turn their imaginary monsters into delicious treats! Turn Out the Lights! (James Miner) Why do we all like playing in the dark? Because often being a little scared can lead to a lot of fun! Campers will challenge themselves to use their remaining four senses to play traditional “camp games” (e.g. gaga, tag games, museum). Prior to games, campers will also be invited to explore one of their remaining senses (smell, hearing, taste and touch). Join me…if you dare! Improv City (Nora Woolley) Discover the fun of spontaneous theater as you delight in a variety of improvisation-based theater games that encourage ensemble, imagination, storytelling, rule-making/rule-breaking and healthy risk taking (that rhymes!). What is it like to flex your comedian, dramatic, maestro, animal magnetic selves in one class? How about in one exercise? Enter a ton of different worlds, even put on an entire play at the drop of a hat, and learn what it is like to say “yes and” while committing to all of the wonderful sides of yourself. Zumba Beats (Gabrielle Meadows) Get movin’ and groovin’ to the Zumba beat. This class is a rocking, high-energy dance party packed with specially choreographed routines and all the music campers love. Campers will have a chance to create their own routines and on the final day, they’ll host a Zumba class for other campers to participate in! Blind Contour! (Kevin Farrant) Enjoy drawing but get too focused on every tiny detail before you’ve even finished? Blind contour drawing means that artists don’t look at what they’re drawing while they’re drawing and instead, completely focus on their subject matter. There’s no peaking at the work until they’ve finished! Campers will be introduced to this unique technique and practice by drawing still life objects and even each other. Campers will learn to freely draw without judgement and find that what they’ve created are beautiful, intriguing and unique works of art. Intermediate Chess (David Rigo) In this chess class students will have a refresher on the rules and fundamentals of chess and be introduced to basic chess tactics and endgames. This is a great class for students who know how the pieces move, but might want a little review. Obstacle Course (Dane Aska) Are you ready for a challenge? Work together as a team to participate in relay races, navigate a series of obstacles as you attempt to complete the course! We’ll focus on strategy, collaboration, and sportsmanship as the keys to success. Basketball (Danny Tom) Learn how to dribble, pass and shoot a basketball! If you already have experience in basketball this is a good class for you too because it will be a fun way to practice the skills that make basketball more fun to play! We will practice basketball skills with fun drills and games that will keep our bodies moving and our brains engaged! Style it Up! (Kevin Farrant) Do you have an old pair of jeans that you want to spruce up or an old T-Shirt that you want to make new again? Then you’re in the right class. Be ready to re-define your style by adding your own artistic touch to old jeans, t-shirts, shoes, sweatshirts and more! Every piece you make will be fully customized to your personal taste. We will have a variety of materials at your fingertips or you can bring your own. Create pieces that boldy express your unique personal style! Get Up to Get Down (Danielle Staropoli) Dance, dance, dance! This class will explore a variety of dance techniques, including: flexions and extensions, limb rotations, stretch, swings, bends and twists, plus control in balance (two feet, one foot, other body points). We will use our new techniques to collaborate in improvisations, while inventing original movements in response to music, images, words and ideas. Basketball (Jimmy Hall) Learn how to dribble, pass and shoot a basketball! If you already have experience in basketball, this is a good class for you too because it will be a fun way to practice the skills that make basketball more fun to play! We will practice basketball skills with fun drills and games that will keep our bodies moving and our brains engaged! Book Binding (Victoria Vreeland) Book binding is a centuries-old tradition that has, over time, transformed and evolved into the books we love today! Campers will learn this time-honored craft as they create their own handmade journals. They’ll fold and sew the pages, create the boards that will become the covers, and design and customize their cover artwork. Campers will come away from this choice class with the basic understanding of how to bind a book, as well as a new appreciation for this age old craft. Cardboard Creations (Matthew Mahler) Cardboard is a super accessible and multi-purpose material with tons of potential when it comes to creating art works. Young artists can expect to master the basic skills of joining, folding and scoring it while on the journey towards making their own creations. There are no limitations in this choice class. If you can imagine it, you can create it! Studio Sessions (Eric Royo) In this digital performing arts class you will learn to create beats, record songs, and produce visual stories to make your music come alive. The art of making digital music is at your fingertips. Producers, singers, rappers, musicians, and engineers welcome. No experience making music? Not a problem. With user friendly software and quick tutorial, you’ll be making the hottest jams in no time! Still Life (Kevin Farrant) Calling all artists! Still life drawing is a wonderful opportunity for artists of all genres to practice fundamental drawing skills of shapes and forms. Each day the art room will be setup with a variety of materials, including dramatic lighting and viewfinders to offer campers inspiration for their drawings. They’ll use pencil, charcoal, and watercolors to create their still life piece. Checkmate (David Rigo) This chess class will focus on checkmate patterns, and solidifying the concepts of check and checkmate. This is a good class for students who are comfortable with rules of chess. Soccer Skills (Dane Aska) Learn the basic techniques of soccer, focusing on footwork basics such as one touch pass and kick and go. Campers will learn how to take penalty shots, dribble around cones, and scoring with or without goalies. We will learn basic fundamentals of the game and even have a go at playing a soccer match. Cityscapes NYC (Kevin Farrant) Let’s explore the city around us through the lens of an artist! Campers will draw inspiration from artist Stephen Wiltshire who has spent his life drawing cityscapes entirely from memory. After practicing some sketching inside the classroom, campers will take a walking tour of the neighborhood in order to draw like Stephen– outside in the world making preliminary sketches, which will later inform a larger drawing of a portion of the city we inhabit. Basketball (Danny Tom) Meet us on the court, where we will hone our passing, shooting and dribbling skills. After practicing the basics, we will try out some game play, while developing good sportsmanship and teamwork strategies. We will also make time for fun basketball games like Knock Out, Horse and others! Little Red Unplugged (Tara McLaughlin) In this class, campers/songwriters will listen to a variety of songs from various cultures, time periods, genres and styles. We will learn about basic songwriting and different techniques. Working with partners, we will create melodies and words that can be put together into a beautiful piece of music! Everyone will have their own special song-writing notebook to create their masterpieces. Campers will explore expression through music and have the opportunity to complete and perform one full song at the end of the session for a Little Red Unplugged Show! Basketball (Jimmy Hall) Meet us on the court, where we will hone our passing, shooting and dribbling skills. After practicing the basics, we will try out some game play while continuing to develop good sportsmanship and teamwork strategies. We will also make time for fun basketball games like Knock Out, Horse and others! Ultimate Frisbee (Jake Tiner) Campers will learn the basics of frisbee before applying them to an awesome game: Ultimate Frisbee! A mix of basketball and American football but using a frisbee instead, Ultimate Frisbee is a great way to get some exercise while learning the importance of teamwork and having fun. Classes will begin with stretching and warm up exercises before moving on to scrimmages. Dream Zines (Kevin Farrant) Tap into your imagination to create a story of your wildest dreams! The sky’s the limit in this class! Join us to create a zine (a mini comic) to tell your own tale about anything you’d like! Discover ways to creatively plan, sketch, and outline how your story will unfold. Practice folding, collaging, and drawing techniques to complete your very own creative dream zine. Clay Mask Making (Kevin Farrant) Clay masks have been created throughout history in civilizations all over the world for many purposes, such as storytelling. Campers will learn how to design a mask form from clay, making sure to think about scale, texture, shape, and facial features. We’ll look at some ancient civilizations and the masks they created in order to help inform our own stylistic approach as we forge a clay mask of our own. Zumba Beats (Gabrielle Meadows) Get movin’ and groovin’ to the Zumba beat. This class is a rocking, high-energy dance party packed with specially choreographed routines and all the music campers love. Campers will have a chance to create their own routines and on the final day, we will be hosting a Zumba class for other campers to participate in! Quidditch (James Miner) Welcome to the fantastical game of Quidditch, founded by The Hogwarts School of Witchcraft and Wizardry. Players will be organized into houses (or teams), and work together to set up the playing field and positions. All players will get the opportunity to be Chasers, Bludgers, Seekers, and the ever elusive Snitch! The beginning of class will cover the rules of Quidditch and give players time to warm up and hone their skills. Bring your teamwork, strategy, sportsmanship, and imagination! Introduction to Stage Acting (Dane Aska) Ever dream of performing on stage but not quite sure where to start? Campers will be introduced to some of the basics of stage acting. They’ll discover how to and what it’s like to work both independently, as well as part of an ensemble. 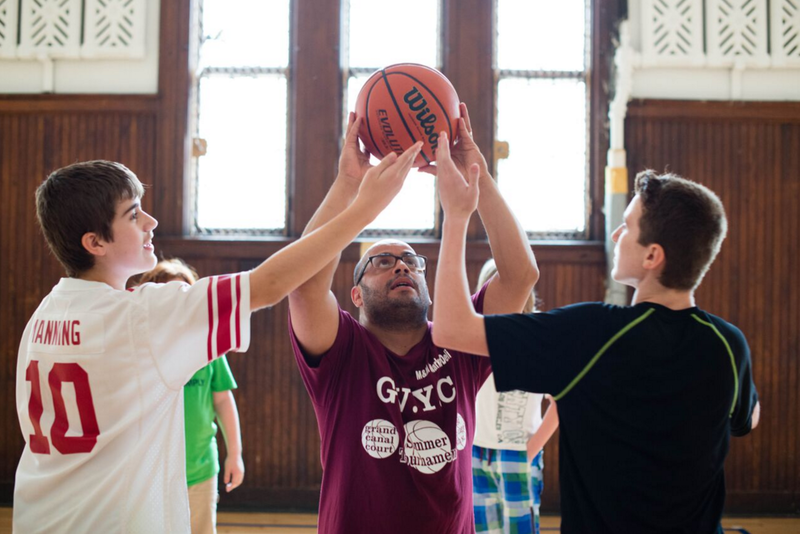 Using a variety of warm up games and exercises, campers will begin to tap into their imagination as they become more comfortable taking center stage. Learn some of the tricks of the trade while having nonstop fun! Basketball (Danny Tom) Learn how to dribble, pass and shoot a basketball! If you already have experience in basketball this is a good class for you too, because it’s a fun way to practice the skills that make basketball more fun to play! We will practice basketball skills with fun drills and games that will keep our bodies moving and our brains engaged! Comic Creation (Andy Hunter) This class will focus on the creative process of creating a comic book from concept to realization. Campers will illustrate, write, and format their very own comic book! We’ll work on character creation and development, plot, and everything they hope their original comic to become. Ultimate Frisbee (Jake Tiner) Students will learn the basics of frisbee before applying them to an awesome game: Ultimate Frisbee! A mix of basketball and American football but using a frisbee instead, Ultimate Frisbee is a great way to get some exercise while learning the importance of teamwork and having fun. Classes will begin with stretching and warm up exercises before moving on to scrimmages. Superhero Creators (Matthew Mahler) Are you a superhero superfan? Do you find yourself daydreaming about what powers and super abilities make up the perfect hero? Have you ever wished you could create your own superhero? In this choice class campers will draw their own superhero and then bring it to life in the 3rd dimension, using papier mache and paint! Learn new skills and put your creativity to the ultimate test. Clowning Around! (Annie Perales) Have you ever wanted to join the circus? Now’s your chance! Campers will learn about the art of clowning and explore juggling, spinning plates and mini acrobatics. The class will culminate in a circus performance for fellow campers in which we present our goofy, silly, clown characters. Double Dare! (James Miner) Teams of campers will compete in wildly fun, mental and physical challenges. Classes begin with a range of trivia categories, including: Bigger or Smaller, Name that Counselor, Which Borough,Weird Science and more. Be the first to “buzz in” with the correct answer, and save your team precious time towards completing the Double Dare Obstacle Course. Each class, counselors and campers will create a unique obstacle course that is fun, challenging, and rewarding. Balance, climb, and crawl your way to victory! Team Games (Jake Tiner) Campers will play games with a common theme: teams! Campers will learn how to work together to accomplish a common goal while having a blast! Games will range from traditional team games like kickball and capture the flag to trivia style game shows, sardines, and bounce out! Terrific Tappers (Danielle Staropoli) In this introductory tap class, campers will explore single sound steps (stamp, toe drops, brush) and double sound steps (shuffle, slap, riff) to develop rhythmic skills, clarity of sound, and precision. 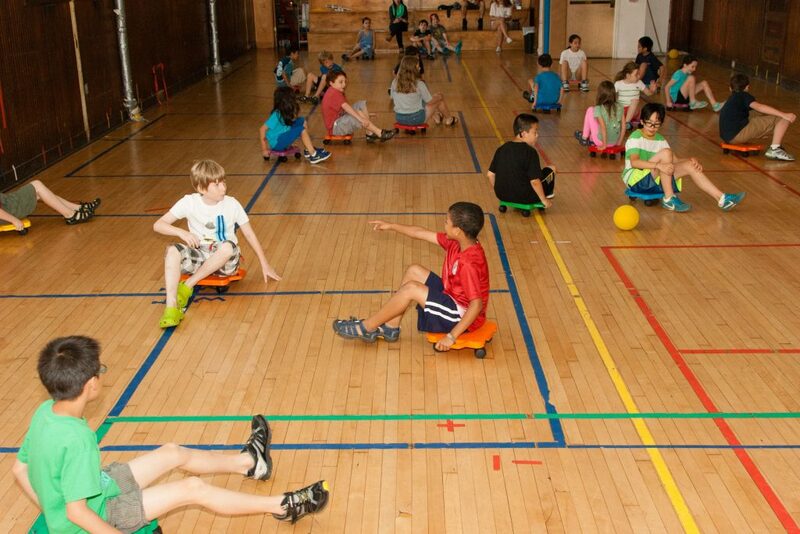 Campers will develop control and strength in their feet, ankles, and legs. Through counter rhythms and improvisation, campers will surely be making music with their feet! World Art Extravaganza (Matthew Mahler) Take an imaginary journey around the world and examine and explore various approaches to art making. From Japanese scroll drawing to African Masks, students will take a closer look and get a chance to create a piece inspired by various cultures from across the globe. RPG 101 (Jake Tiner) Have you ever dreamed of being a Queen or a Wizard? Then this is the class for you! Students will be introduced to the basics of role playing games before they are given the chance to create their own universe. Then students will build a fantastic character with whom they will explore the world. Students will build creativity skills, while also learning how to work together to overcome insurmountable obstacles and defeat supernatural beings. Weird Science (Eric Royo) Have you ever made a bulb light up with a lemon? Have you ever written a message in invisible ink? Ever made homemade slime or elephant toothpaste? Well here’s your chance to try some of the weirdest science experiments this side of 6th ave. You might get a little messy because science isn’t always nice and neat. But it is fun! Dance for the Camera (Danielle Staropoli) Campers in this class will be dancers, choreographers and cinematographers as they design, perform and help produce their own dance films. As we work on our films, we will learn ways of framing movement and putting forth an idea using the body and lens. Films will be screened in a final share for other campers on the last day of class. Yes, And! (Jaryn Stewart) Improv–the art of making up funny stories on the spot. 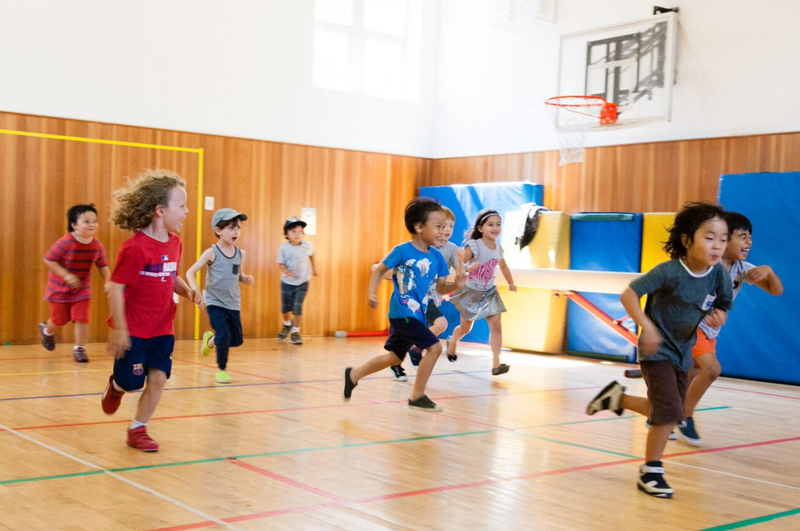 Using both games and common forms, campers will learn how to think on their feet and create scenes together that leave them laughing for days. Love comedy, or want to explore it more in depth? This class is for you! Comic books, graphic novels and even comic strips are all great storytelling methods that allow artists and writers to tell exciting stories in a visual way. If you have an interest in drawing or writing comics then this will be an exciting opportunity to learn more about how these books are created, and a chance to make your own! Are you a comic reader? Come try your hand at scripting, inventing characters, learning how to compose panels and pages, how to ink and color pages, and some of the digital techniques that brought your favorite books to life. 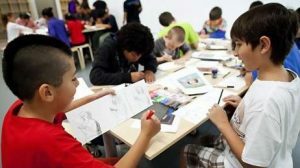 Campers will have the chance to work with traditional and digital tools and materials as they work towards making their own characters and stories, and ultimately work towards making their own issue of an original comic. 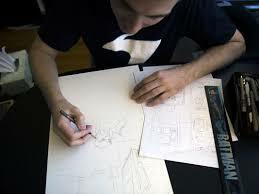 Some of the exercises may include drawing thumbnail and model sheets, learning different drawing perspectives, creating dialogue, working with exciting figure poses, developing a personal style of comic drawing, introduction to storytelling methods, layout and inking of comic pages, working with watercolor, and some basic Photoshop for digital drawing and coloring. From Manga style to classic heroic figure drawing, all styles and levels of experience are welcome! Comic Book Creators Specialty camp takes place at our Sixth Avenue campus (272 Sixth Avenue). It meets Monday-Friday 9:00am-4:00pm. A hot lunch is provided Monday-Thursday; we ask that campers bring a bag lunch on Fridays. Comic Book Creators will make chaperoned off-site trips as dictated by the needs of their individual and group projects. Additionally, on the first Friday of the session, students will join our Tens-Twelves & other Specialty Camps on a Field Trip via air-conditioned coach buses. Jeremiah Demster is the middle school art teacher for the 5th and 6th grade at LREI. He is also the coach of the middle school Robotics team. He has worked LREI and Summers at LREI since 2011. Previous to this position Jeremiah taught a combined age 12-14 Montessori middle program with a heavy emphasis on marine biology and diving on the island of Maui. He has been teaching since 2006. Jeremiah has also been a part of AmeriCorps in outdoor education instruction, and an adventure counselor for the YMCA in New Hampshire, specializing in outdoor education and ropes instruction. Jeremiah holds a MS in Teaching Methodology from the University of New England, and a BFA in Fine Arts from Endicott College, as well as a Montessori teaching credential from the Houston Montessori Center. All Preseason Clinics will run from 9am-2pm, Monday-Friday, at the cost of $500 for the week or $100 per day. Campers are asked to bring bag lunches each day that do not contain nut or seed products and do not include glass containers. 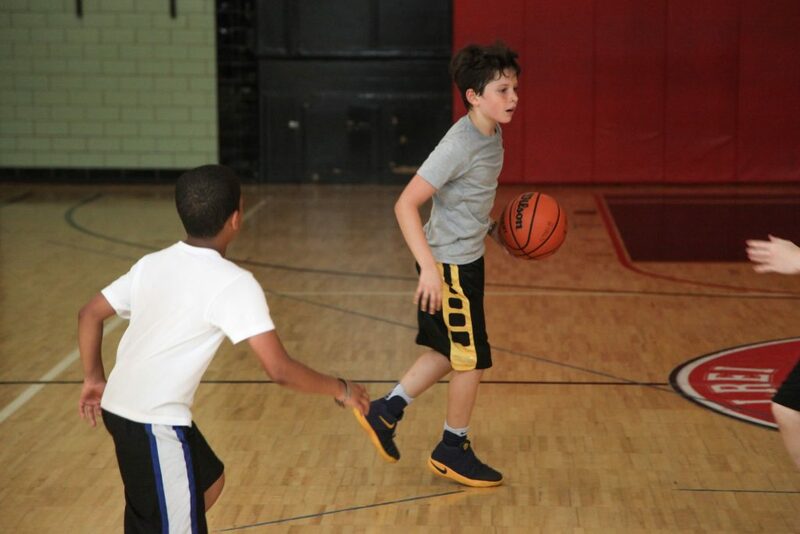 Summers at LREI offers a one-week Preseason Basketball Clinic. This program helps players, ages 10 to 13 to develop their basketball skills, and compete against each other in games. Register for the clinic basketball here. 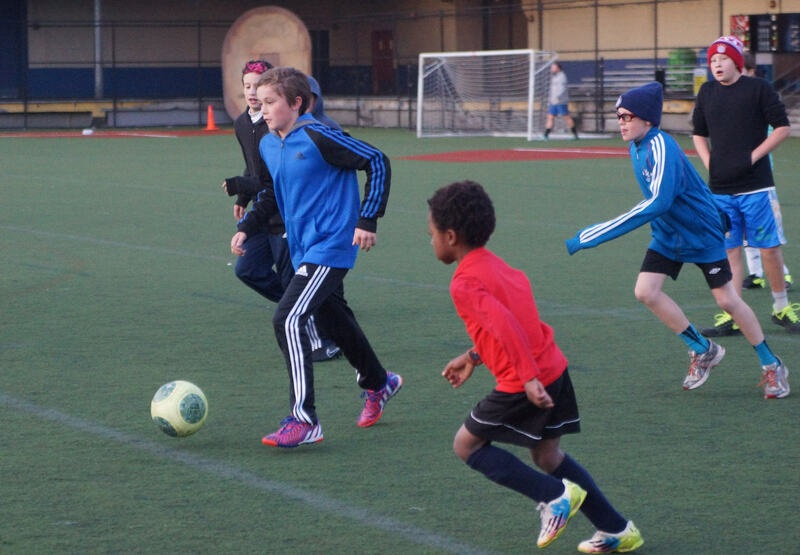 Summers at LREI offers a one-week Preseason Soccer clinic. This program is a week long training camp that works on individual player skills and game scenarios in a fun and competitive environment. 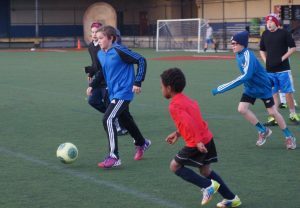 Through a combination of drills, challenges and games players will be encouraged to be creative and take risks with new skills to help them grow technically and to develop a personal style as a unique player. 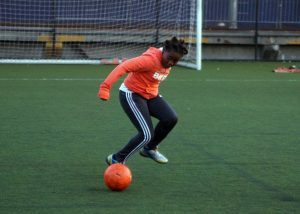 There will be a focus on growing all aspects of one’s game and being a well-rounded soccer player, and participants will be given techniques and strategies to continue to improve on their own as much as they are motivated to. 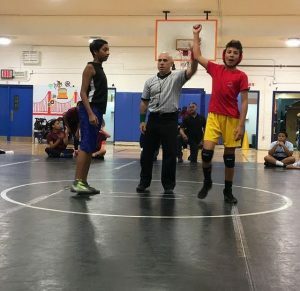 Summers at LREI’s offers a one-week Preseason Wrestling clinic. The wrestling clinic is an opportunity for athletes, ages 10 to 13, to learn the basic concepts of wrestling, develop and enhance their wrestling skills, and compete. The program will focus on helping wrestlers learn takedowns, escapes, top control and tumbling while developing overall fitness, agility and athleticism. Register for the wrestling clinic here. Basketball Intensive is offered for campers ages 10-13 for all three sessions. 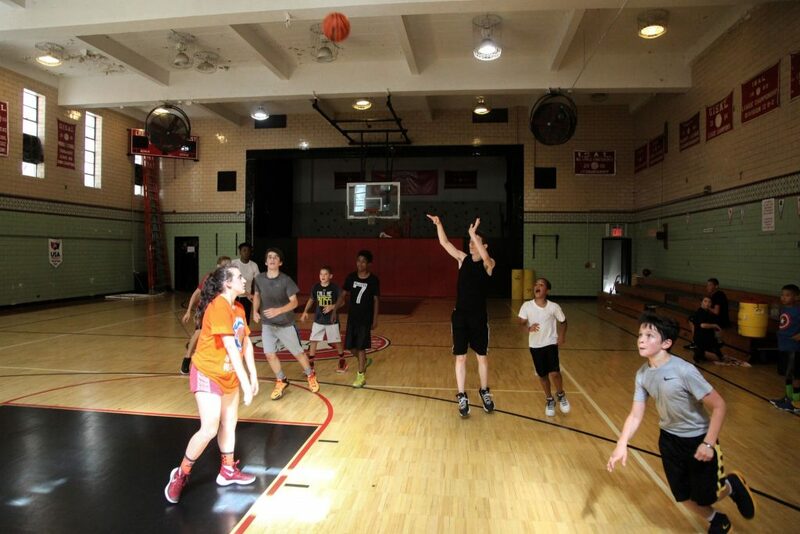 Summers at LREI’s Basketball Intensive is an opportunity for players, ages 10 to 13 to learn the concepts of basketball, develop their basketball skills, and compete. 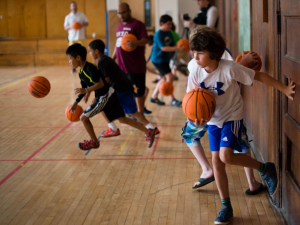 Clinics focus on helping athletes improve their dribbling, shooting and passing skills by participating in intensive drill sequences that focus on developing these fundamentals. Time is spent on skill building for each individual player as well as teamwork both offensively and defensively. Lunch is provided each day for campers during the camp season. Basketball Intensive takes place at our Thompson Street campus (140 Thompson Street). It meets Monday-Friday 9:00am-4:15pm. 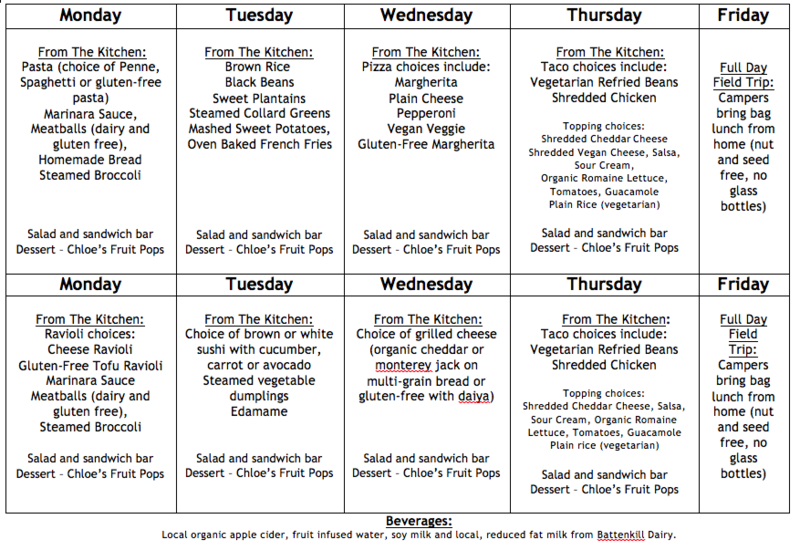 A hot lunch is provided Monday-Thursday; we ask that campers bring a bag lunch on Fridays.